Studies show that diverse businesses tend to perform better than their less diverse counterparts. The time has come for gender equality to move off the HR checklist and into reality, says Bec Brideson. In ABBA’s ‘Money, Money, Money’, a woman doesn’t have many favourable options. She can either work all day to pay the bills or nab herself a wealthy man “and have a ball”. Even in the ’70s, clever women were seen as the inheritors to men’s wealth either through marriage or birthright – not as rightful earners or powerful consumers. The times have changed since that catchy, lucre-inflamed pop zeitgeist; women have forged an alternative future where they no longer rely on surviving in a “rich man’s world”. One could say that we are in the beginnings of a rich woman’s world. From many millennia of survival, women have in the past few centuries risen through a sort of Maslow’s hierarchy of needs – first to independence: the vote, the right to own property, the right to work and the right to inherit equally. More recently, modern woman has finally come up into influence, where she has emerged as a power player in the workforce, the home and now the economy. There is no doubt that the 20th century saw a vast uptake for women in all labour markets, thanks in part to the early stages of industrialisation, but also World Wars I and II, which demanded that women pragmatically take up the work mantle that men left behind. Outgoing chairman of the US Federal Reserve, Janet Yellen said that women’s contribution to the workforce has been a “major factor in America’s prosperity over the past century and a quarter”. In her most recent address to Australia, Summit of Women CEO Irene Natividad agreed that the rise of women’s contribution and participation will effectively increase the affluence of every country as “GDP rises when there are more income earners”. With only 30-50% of women in the workforce, bringing more women in would mean greater GDP and greater profit, not only for governments and economies but for businesses as well. Though there are still many social barriers, financial ceilings and limited leadership pathways for women at work, they are a fundamental part of our economic base. Modern woman may rarely be the CEO at work yet, but she’s the CEO of the home with EY predicting that women will control 75% of discretionary spend by 2028. Public relations company Fleishman-Hillard has estimated that women will control two-thirds of consumer wealth in the US over the next decade. No matter how you look at it a woman can either have a Midas or Medusa effect upon your business. You need to know how best to understand, connect and create a lifelong customer out of her. So why isn’t gender more important to businesses’ bottom lines? KPMG’s latest Outlook report, asserts that the biggest issues facing CEOs as potential threats or opportunities in 2018 will be data, technology, digital, innovation and cyber security. Gender, however, is nowhere near the agenda nor is diversity seen as a potential windfall or fallout for a company’s future. Could they be unconsciously biased? Yes. Are they missing this low-cost, high-growth opportunity? Hell yes – gender is not seen as a hard metric and profit driver, and here is the crucial missing logic. Women are the gender spending the majority of money in today’s economy, and women will be ultimately controlling its future. Yet they’re not realised, designed for and communicated with. It’s time we fix that for our benefit as well as theirs. The gender potholes in business are widening into profit-sapping black holes and they are getting too big for us to continue ignoring. 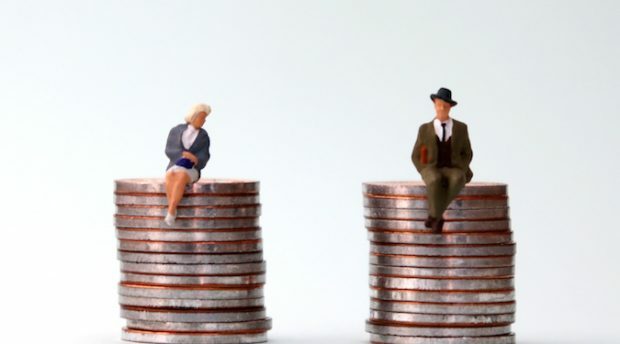 These blind spots aren’t limited to the common issues like the pay gap or the ratio of male to female staff – though these issues are important to tackle. There are numerous sources proving that gender diverse businesses make more money. An ongoing study from Nordea Bank examined the performance of 11,000 companies over an eight-year period. It found that those with a female head reported an 25% annualised return; which was double the MSCI World Index – the average industry benchmark, which had set annualised return at 11%. One 2014 Gallup study found that gender diverse business units across two disparate industries returned higher revenues than their less diverse counterparts. Credit Suisse found that large-cap (large market capitalisation) companies with at least one woman on their boards consistently outperformed boards with no women by 26% over a six-year period. Addressing this is only a first step to fully leveraging your ‘diversity dividend’: a truly gender intelligent company outthinks its competitors by also considering the realm and vision of the female consumer who is carrying an increasingly heavy purse. Australian vegetable farming brand Kalfresh pivoted its entire business proposition to leverage its new Just Veg brand with female consumers. By doing so it provided a fast, easy and healthy solution that saw second-grade carrots – which would otherwise be sold as stockfeed for $50 a tonne – turned into a $5000 a tonne earner, simply by enlisting the knowledge and diverse expertise of the farmers’ wives. We’re seeing the impacts of female consumers elsewhere in the market too. What if a former female staffer decides to lift the lid on a toxic and sexist business culture to a socially conscious female consumer? Thanks Susan J Fowler (who did just this in Silicon Valley last year via a February blog post). What if women decide they don’t like your brand values and collectively boycott your business? Then #grabyourwallet. What if women decide they’re fed up with what you’re doing, and can do it better? Say hello to Shebah. And what if women love what you’re doing, tell all their friends and start making you truckloads of money? Time to talk to Sephora, Nike and Xiaomi. Brands must be careful to navigate these new waters. Traditional business practices and methods may in fact be steeped in non-inclusive ideas and language. Brands must be able to disrupt themselves and query old processes in order to dig out new insights. In 2004 Dove revolutionised the entire industry when it made a conscious decision to approach its business from a new perspective that took a stand against an outdated convention of female beauty. This decade-long ‘Real Beauty’ campaign is still going strong, despite some stumbling blocks. Dove’s work to transform its business into one that is gender intelligent and aligns with women’s new reality was not easy; however, there’s more than profit to be had. If she loves you, her average spend will increase, meaning she’ll be coming back and spending more. She’ll also be advocating to her friends with positive word of mouth leading to increased customer acquisition, retention and long-term loyalty. A business that does well by the female consumer will also benefit from internal issue resolutions such as higher attraction of female talent, a balanced workforce and a thriving and positive culture. There will also be breakthrough innovation not driven by highly expensive technological transformations, but by diversity in opinions, culture and gender. It’s time that business begins to rethink and redefine the avenues for where it can make more money. No longer is gender an issue to be shouldered off to HR as a checklist item – it is time to see it as a profit driver that can truly deliver in leaps and bounds. 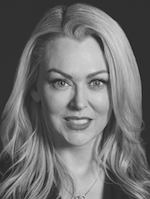 Bec Brideson is a gender-intelligence entrepreneur driving innovation and exponential growth for business and brands with an overlooked market opportunity.